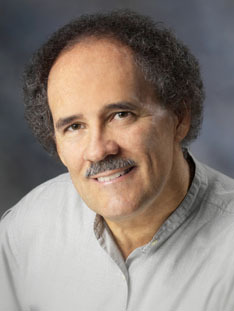 Charles Bens has been an advocate of nutritional medicine for nearly 40 years and his books, articles and presentations often receive praise for his depth of research and his passionate delivery. He is an outspoken reformer with the courage to challenge conventional thinking on some of the most sensitive health issues. • His article entitled Healthcare Costs Could Bankrupt America is hard hitting and calls out politicians, conventional medicine, drug companies and food companies as the key culprits in the ever-increasing cost of health care. • In an article entitled Cholesterol and Heart Disease: A Surprising Second Opinion he joins a small group of brave champions of natural medicine to expose the folly of current treatment practices for heart disease. The claim that cholesterol is the primary cause of heart disease has very little science behind it and there is even less science for the use of statin drugs. • In his article Breast Cancer the Less Told Story Dr. Bens points to research that clearly shows that mammograms are not the best method of finding early breast tumors. He also presents a compelling case for the use of improved nutrition, stress management, detoxification and the use of nutritional supplements, such as vitamin D, as the best way to prevent breast cancer. •	His book The Healthy Smoker: How To Quit Smoking by Becoming Healthier First challenges every conventional smoking cessation program for the lack of scientific evidence and for not understanding why these efforts fail over 90% of the time. By using nutrition, and other natural strategies, smokers can reduce their addiction and remove toxins from their bodies in order to greatly reduce the withdrawal symptoms involved when trying to quit this terrible habit and greatly increase the success of cessation efforts. •	And now with the release of Rebecca Sues Her Mother: "You Caused My Diabetes", Dr. Bens has dared to place the blame for our overweight and diabetic children clearly at the feet of mothers. Yes, there are others who can share some of the blame for this problem, but it is painfully obvious that it is mothers who must bare the majority of the responsibility for this epidemic that is destroying the lives of so many children. This book is half fiction and half non-fiction because the story about how diabetes happens needs to be told as does the scientifically proven method for both preventing and reversing this disease in most cases. The book has a happy ending. Let’s hope this health crisis also moves towards a happier ending for our children.